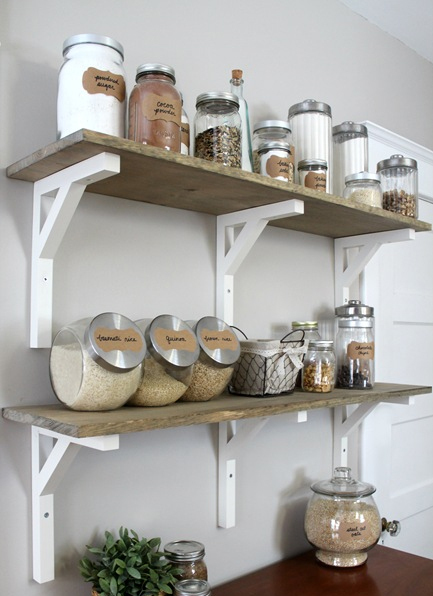 Open shelving can be a simple and usually cheap method to update your own space. They’re an effective storage and are perfect for small rooms. They don’t need very much space and don’t make the space look messy. 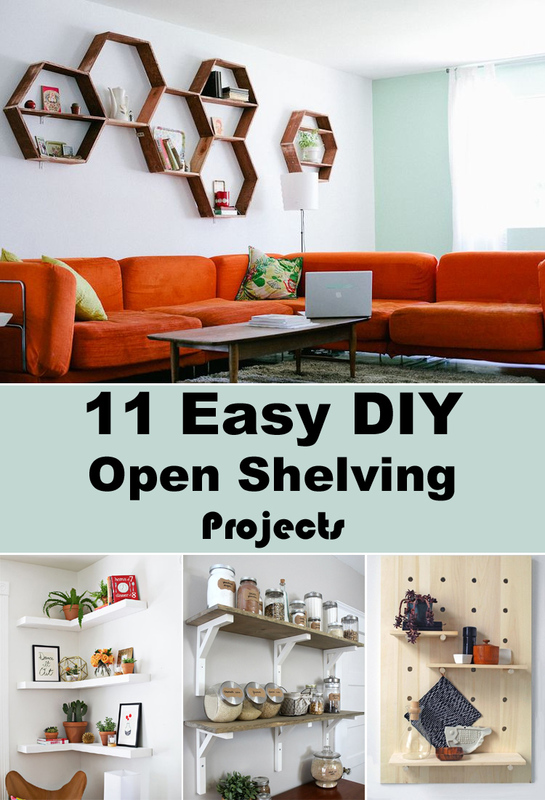 I think that open shelves aren’t only functional but also looks great in any rooms. Check out our favorite 11 projects and find out which of them you want to add into your home. 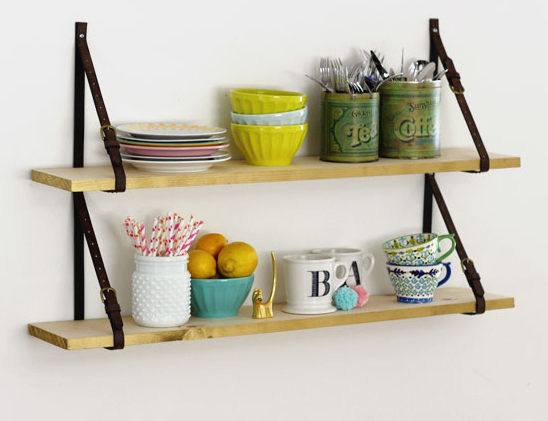 You can create such shelves for kitchens, hallways, bathroom or dining rooms. Enjoy your work! 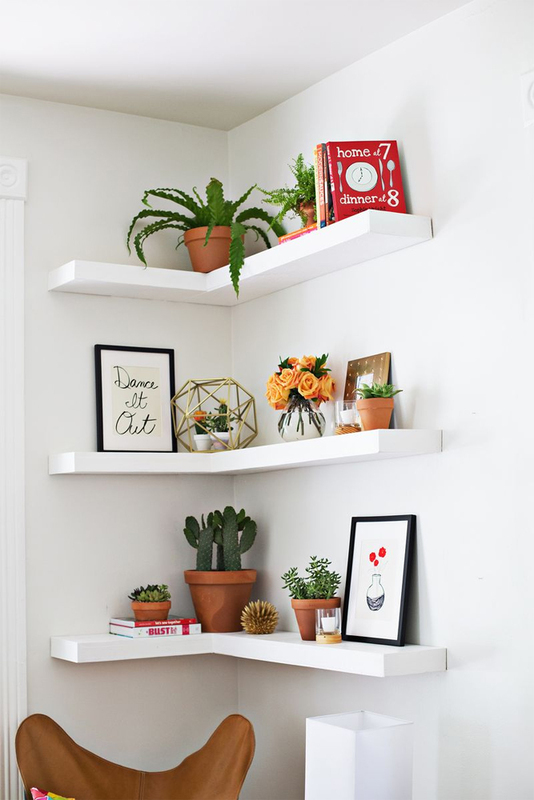 Great idea to make shelves in a corner. They are looking really classy and practical! 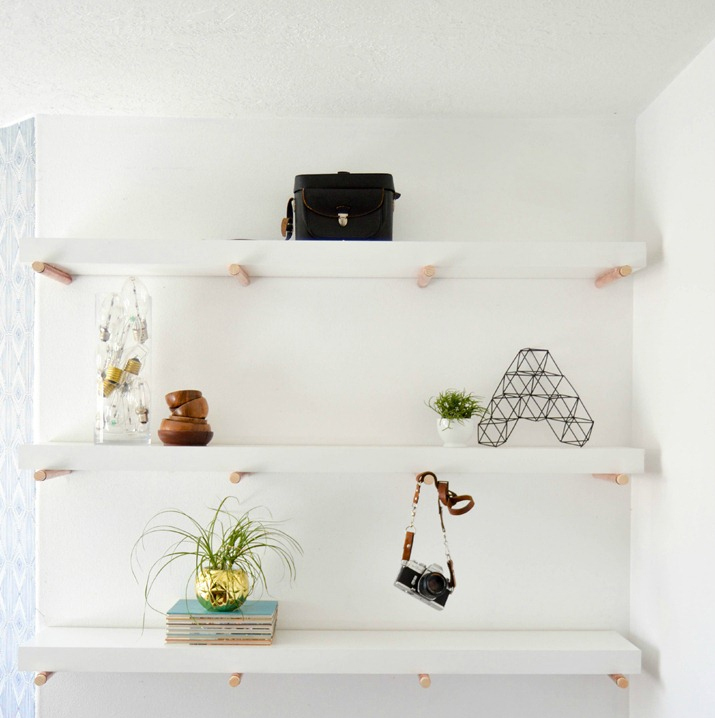 Make these easy lightweight shelves with copper pegs. Copper detailing can make anything look really stylish. Very modern looking made from industrial pipes and wood shelves. 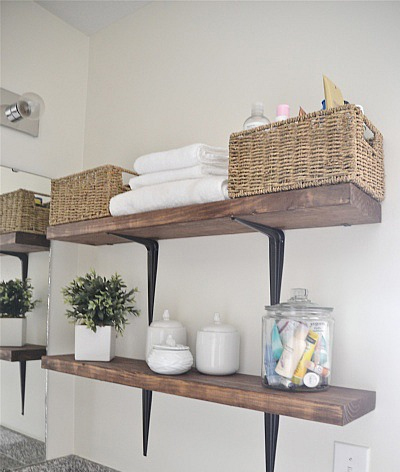 These rustic look shelves can add much needed storage to any bathroom. 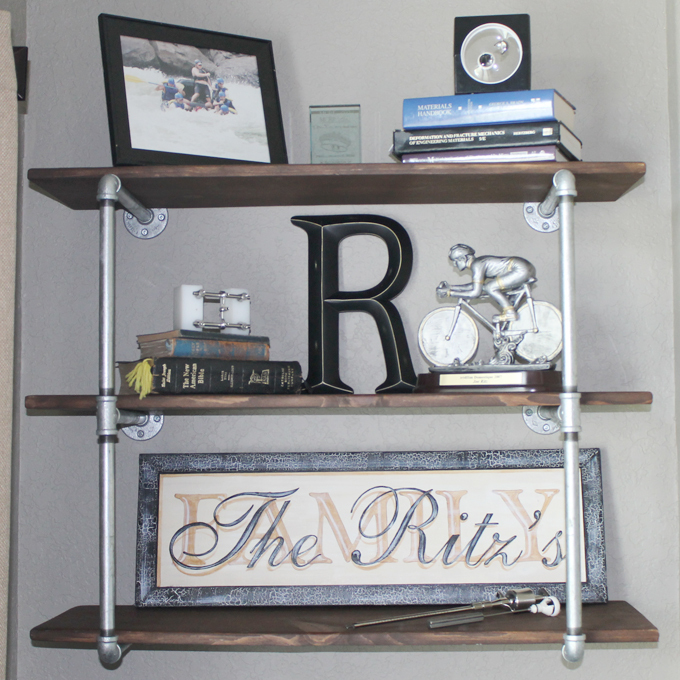 Shelves created with wooden boards from the hardware store and Forever 21 belts! 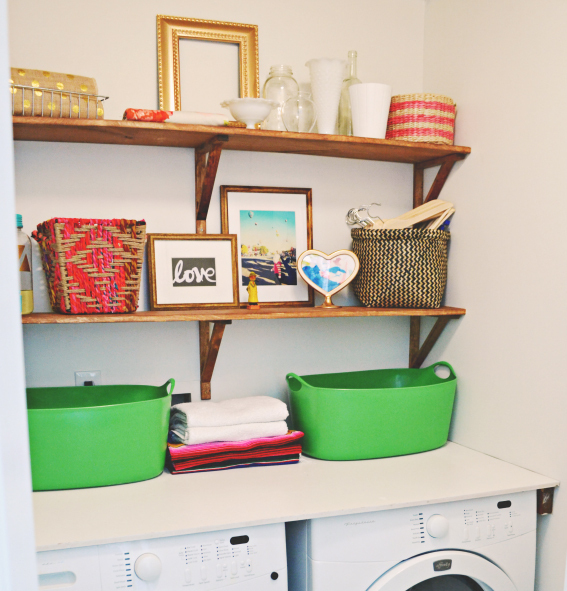 Make open shelving in laundry room which can actually be way more functional than cabinets. These look Amazing.. so clean and organized. 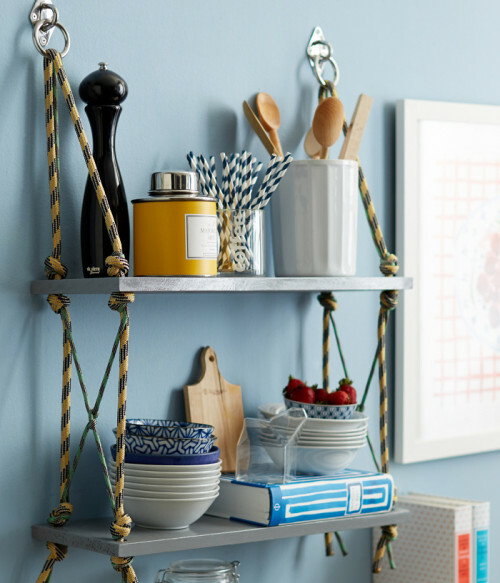 Use rope to make this simple but effective shelving system. 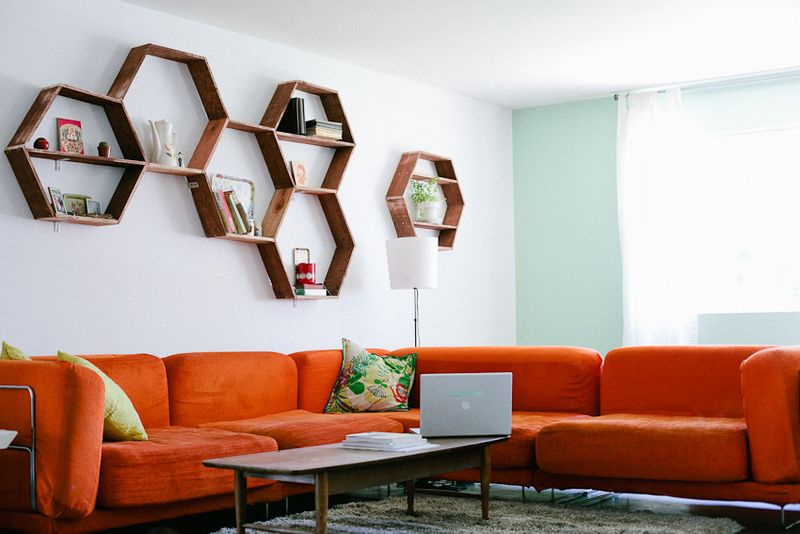 Make your living room look gorgeous with these authentic honeycomb shelves. 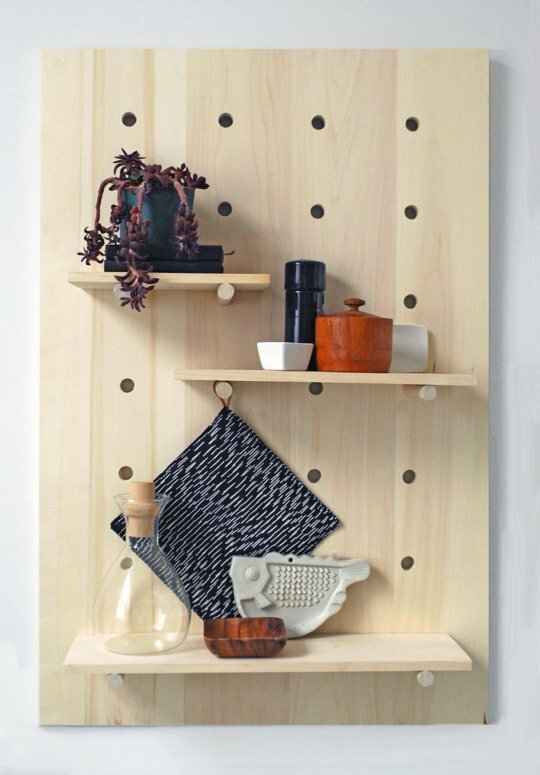 I adore this specific shelving system because it is really simple, but pretty, and can be configured in numerous ways. 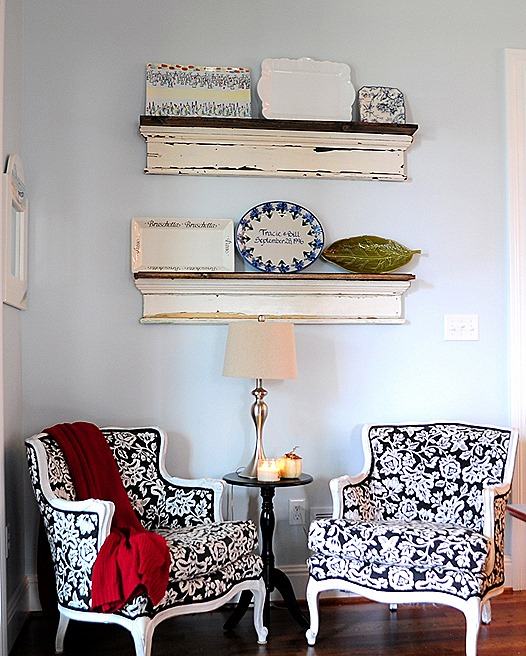 You can repurpose old trim parts to make this unique platter shelves.